*sees one leaf on the ground* Fall has arrived! 1. 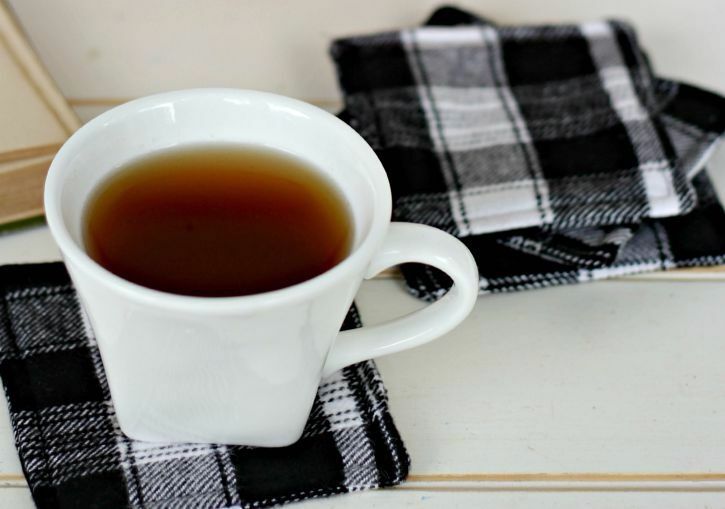 Craft these flannel coasters. Best when paired with a hot cup of cider. Check out the tutorial here. 2. 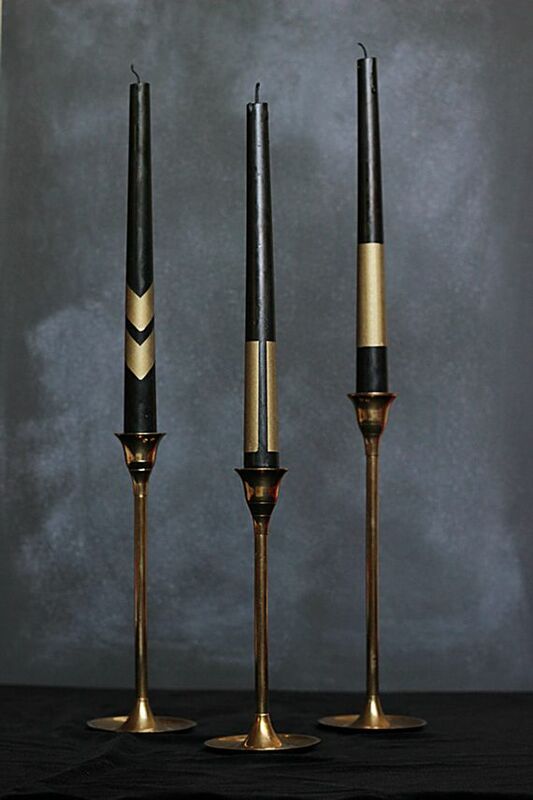 Give your candlesticks a washi tape makeover. How cool are these? All you’ll need is a roll of gold washi tape, candlesticks and scissors. Tutorial via Jenny Batt of Hank + Hunt for Minted’s blog Julep. 3. 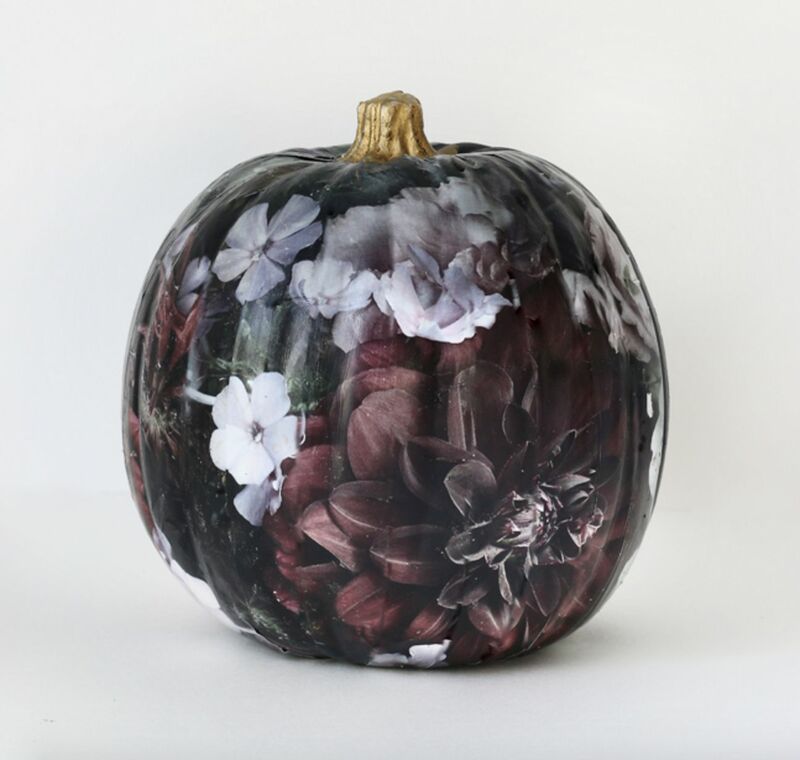 Mod podge a floral pumpkin. We love the moody vibes of this pumpkin. Get the instructions here. 4. 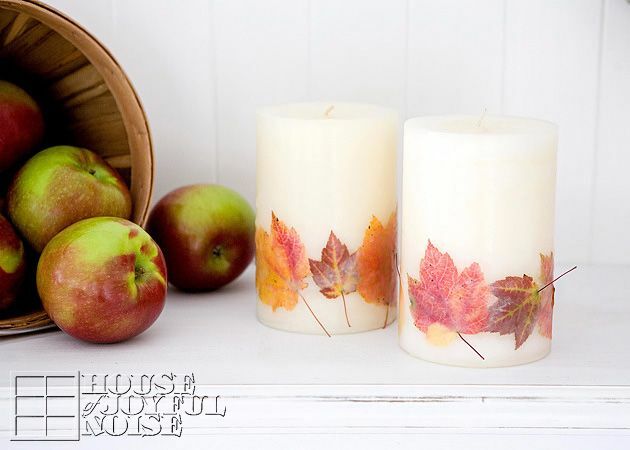 Embed fall leaves into store-bought candles. You’ll want to use wax instead of mod podge, as the latter is flammable. Tutorial via House of Joyful Noise. 5. 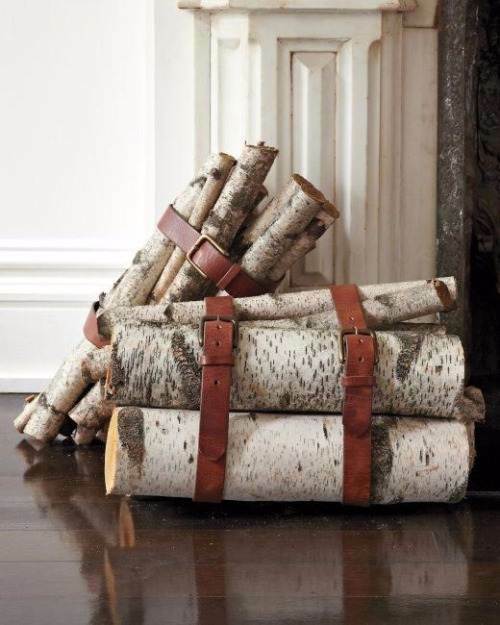 Belt bundles of birch. Hit up your local thrift store for some vintage belts. 6. Paint a decorative doormat. Made in under 30 minutes with a $10 doormat purchased from the Home Depot. Check out the easy-to-follow tutorial on Within the Grove. 7. 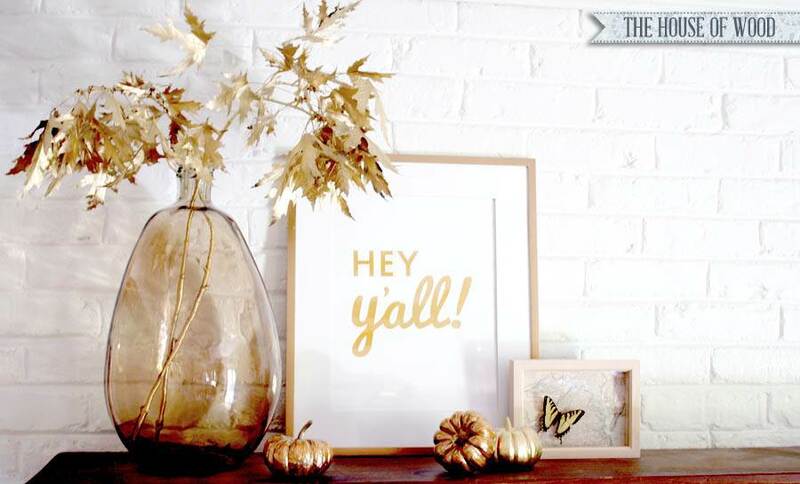 Use gold spray paint to glam up tree branches. DIY doesn’t get any easier than this! Read the full post on The House of Wood. 8. Make your own throw pillow. Sticky-backed felt is totally a thing. Tutorial via Creatively Living. 9. Celebrate the season with a pinecone wall hanging. A fantastic wreath alternative! Read the full tutorial on Fearfully & Wonderfully Made by Carli. 10. 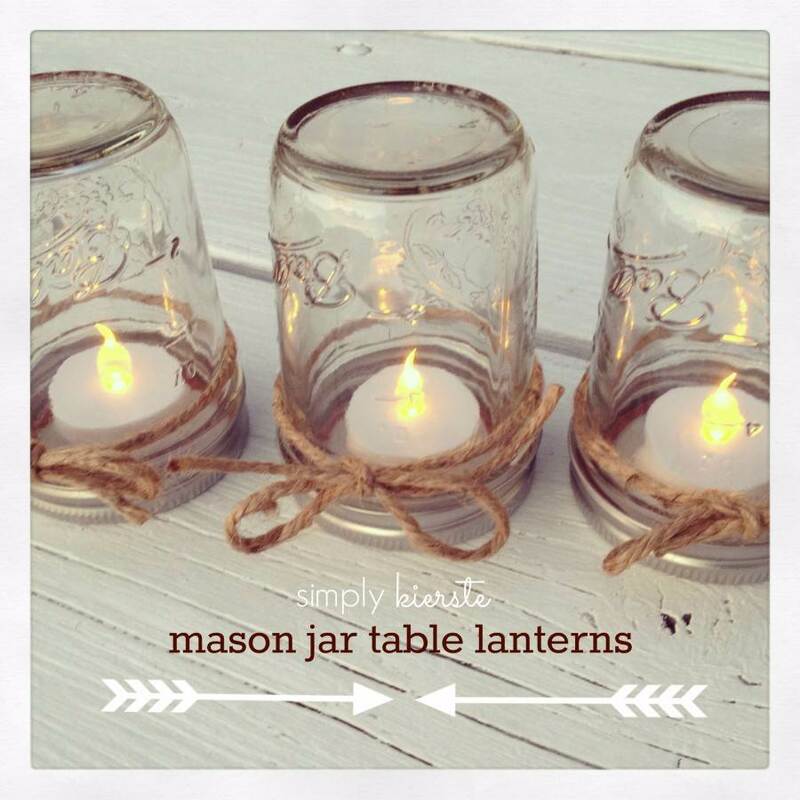 These mason jar lanterns will light up your next dinner party. So adorable, and they only take three minutes to assemble. Tutorial via Simply Kierste. 11. 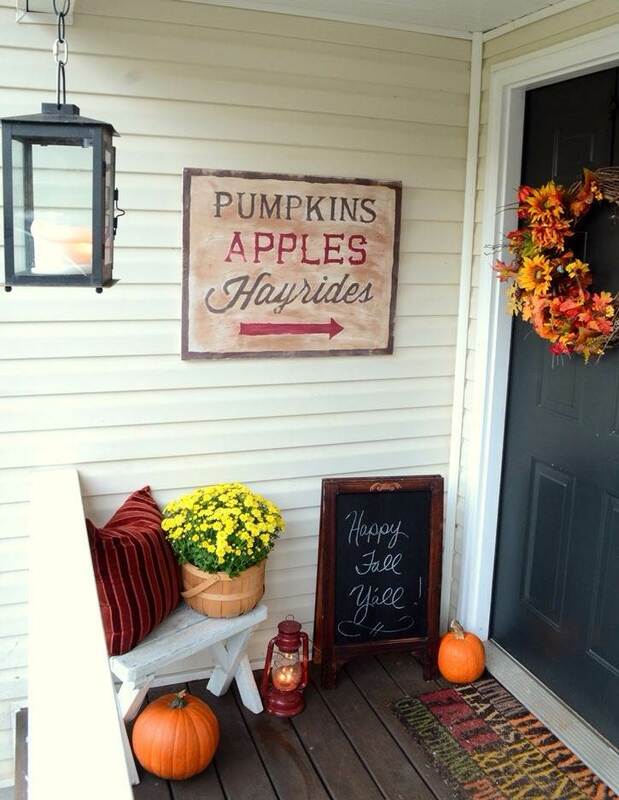 Design a vintage-inspired sign for your front porch. 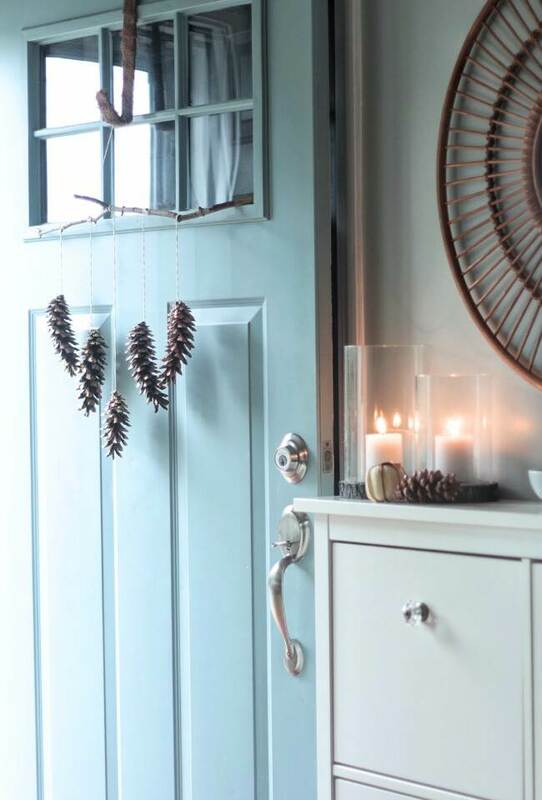 Use chalky finish paint for a distressed look. Tutorial via The Frugal Homemaker. 12. 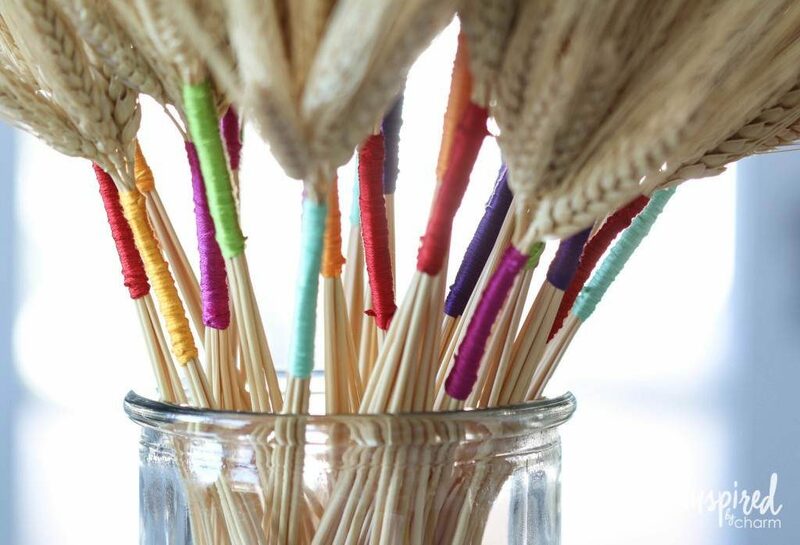 Color wrapped wheat makes for a playful centerpiece. Like hair wraps from the 90s, only with wheat! Tutorial via Inspired by Charm. 13. 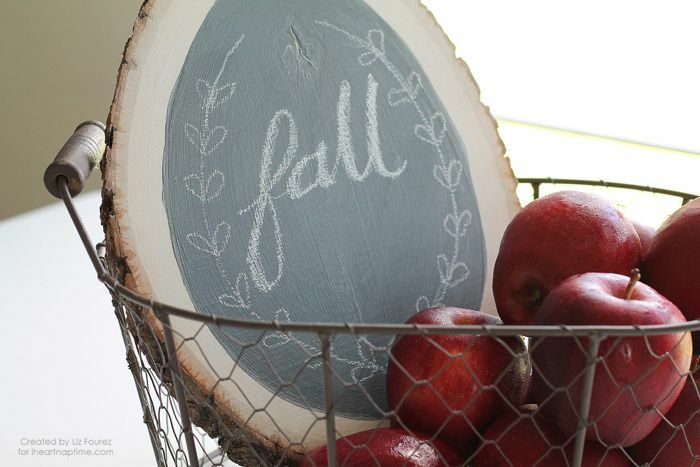 Go for a rustic vibe with a wood slice chalkboard sign. 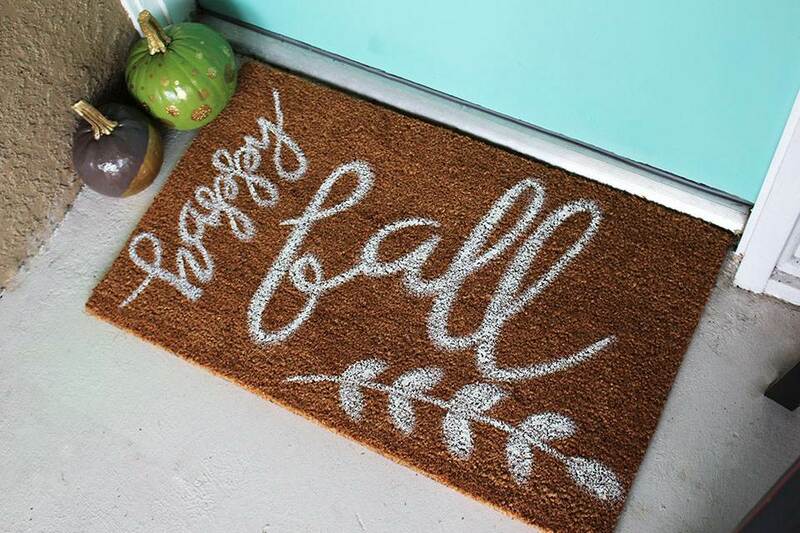 Not just for fall — you can use it year-round! Read the tutorial on I Heart Naptime. 14. 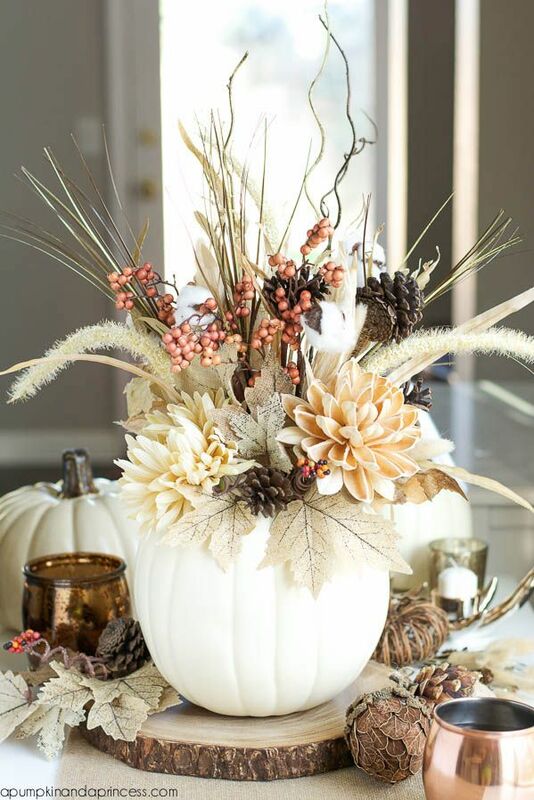 DIY a faux-pumpkin vase that will last season after season. Hot glue a block of foam to the bottom of the vase to create a flower arrangement. Full tutorial via A Pumpkin and a Princess. 15. 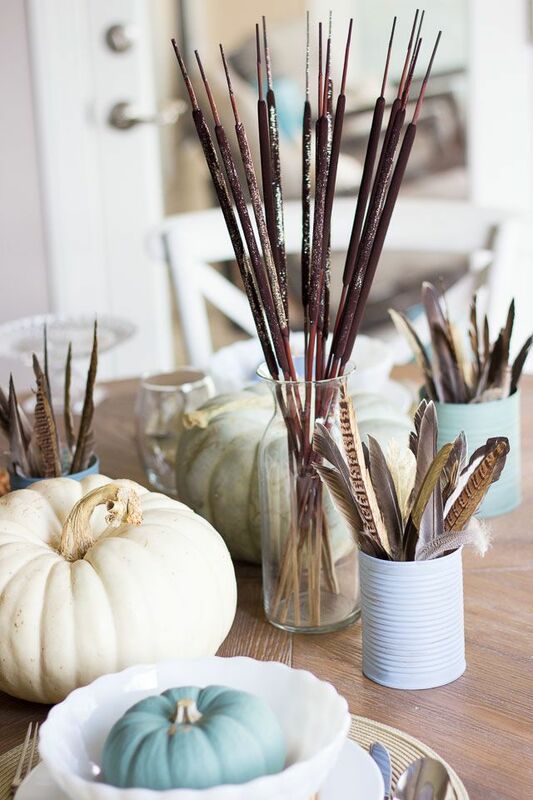 Transform soup cans with vintage-inspired paint colors and synthetic feathers. Makes for a simple centerpiece! See how Haeley of Design Improvised put it all together here. 16. 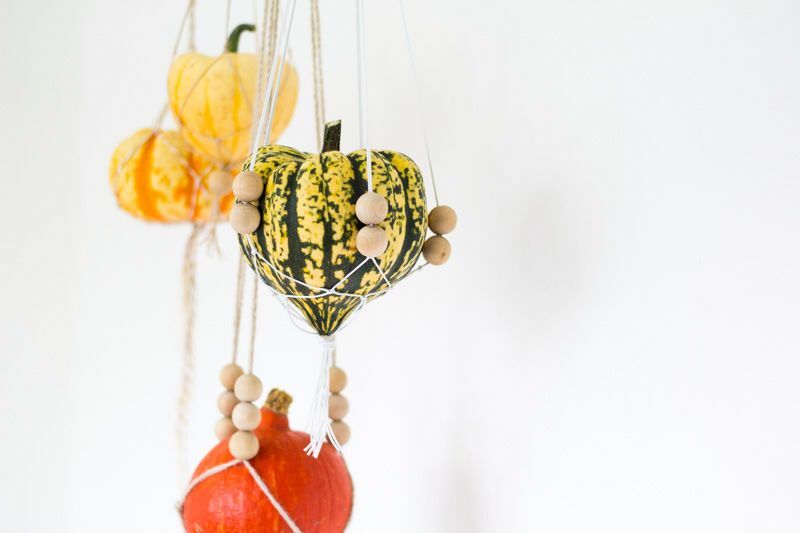 Macramé your way to hanging gourds. Digging the boho look of this project! Check out the full tutorial on Fall for DIY. 17. 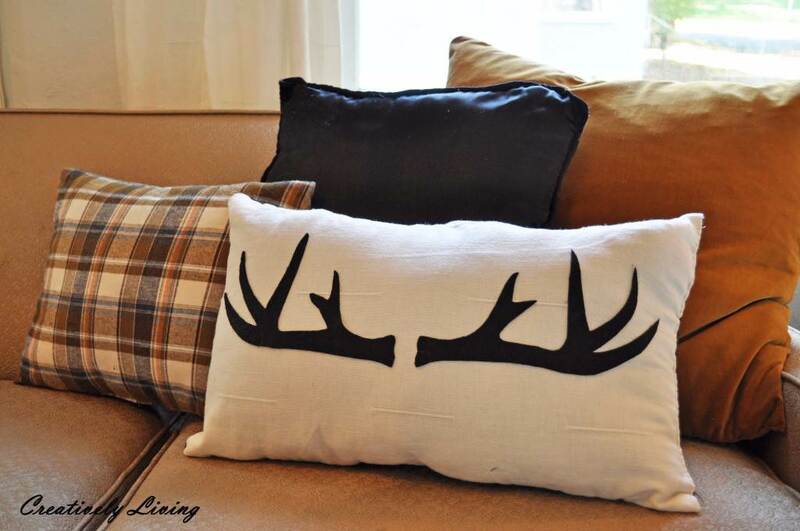 Decorate with naturally shed antlers. 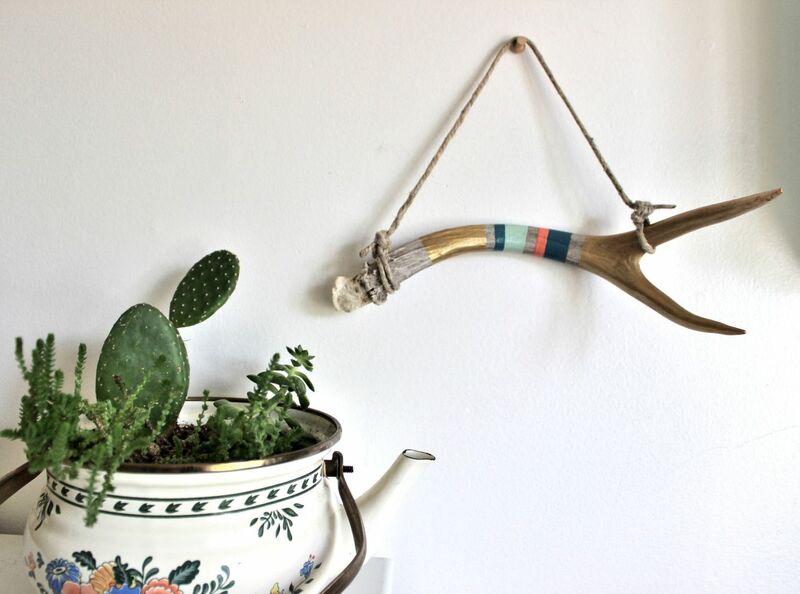 Bucks shed their antlers between January and April, but you can also find antlers at junk shops and on eBay. Tutorial originally published on Consider the Peel, but you can now follow DIY-er and avid reader, Haleigh, at Sweet Sequels. 18. 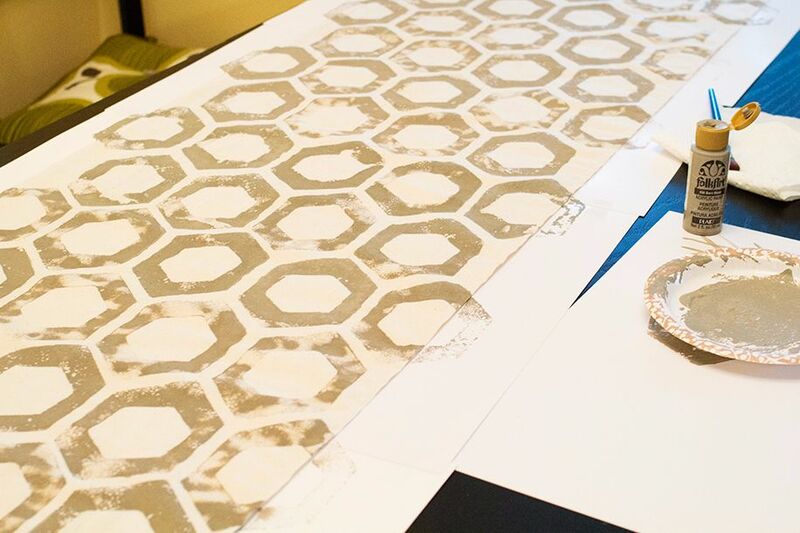 Upgrade a boring table runner with a sponge stamp. Made with a scrap of fabric, craft paint and a kitchen sponge. Read the full tutorial on Sarah Hearts. 19. 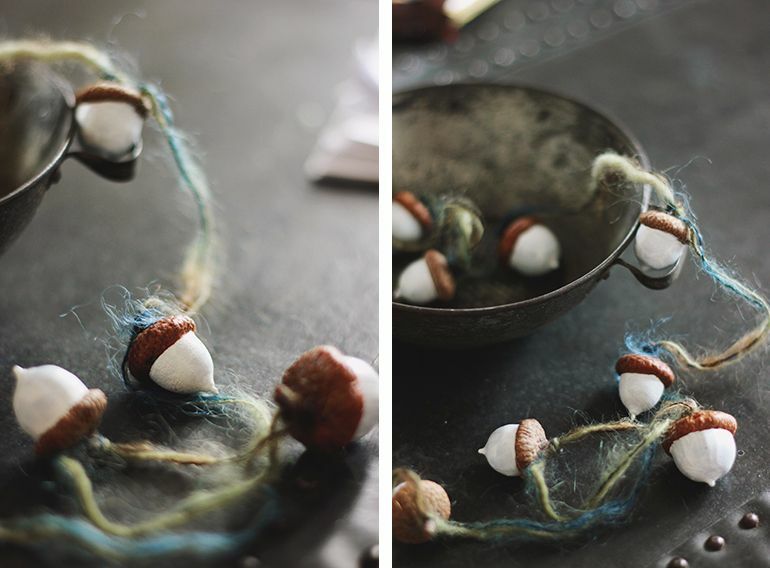 And finally, collect acorns on a nature walk to craft your own garland. Make sure the stems are long enough to tie a string around. Directions via The Merrythought.